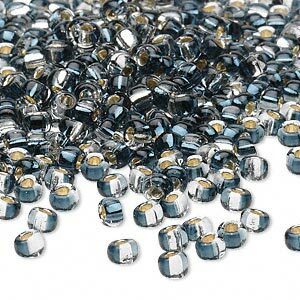 Seed bead, glass, silver-lined two-toned blue/grey, 3-4mm irregular round. Sold per pkg of 25 grams. Item Number: H20-9463SB Have a question about this item? 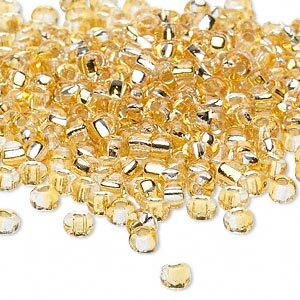 Every bead has a silver lining for extra shine and pop of color, creating a two-toned appearance. Sized for projects that call for larger sizes and bolder detail. Slight irregular shape. 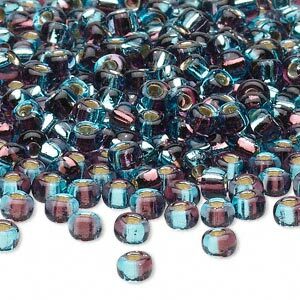 Seed bead, glass, silver-lined two-toned blue/grey, 3-4mm irregular round. 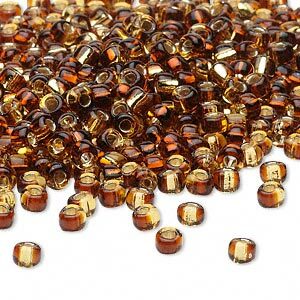 Sold per pkg of 250 grams. 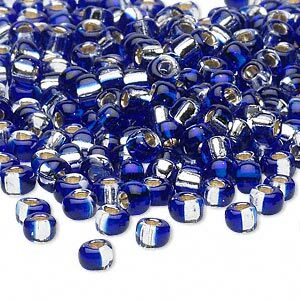 Seed bead, glass, two-toned silver-lined cobalt blue/silver, 3-4mm irregular round. Sold per pkg of 250 grams. 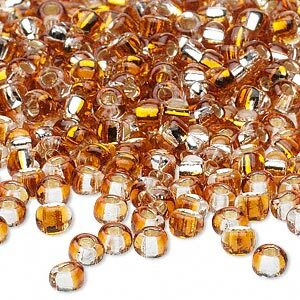 Seed bead, glass, two-toned silver-lined amber/yellow, 3-4mm irregular round. Sold per pkg of 250 grams. 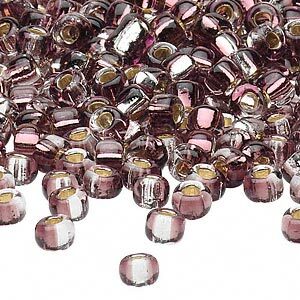 Seed bead, glass, silver-lined two-toned dark red/silver, 3-4mm irregular round. Sold per pkg of 25 grams.